Your Online Workholding Super Source! 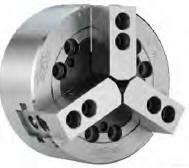 Top quality precision power chuck in various configurations. 2-jaw, 3-jaw, 2-3 jaw, and 4 jaw in draw tube actuated and self contained air actuated. 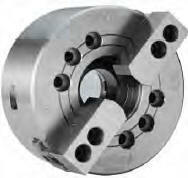 Power chucks are ideal for high speed chucking, bar chucking and universal machining. These chucks deliver consistent accuracy and repetitive chucking. 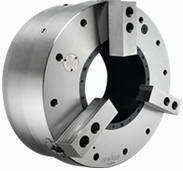 Available in flat back and A type spindle mounting configurations.